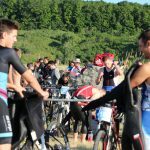 Want to Run an XTERRA Event? 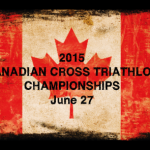 Canadian Cross Triathlon Championships Return to the Quarry! Canadian Championships one more time!! Gareth on CONGRATULATIONS TO ALL WHO RACED ‘MINE’ OVER MATTER! YOUR RESULTS ARE UP! I wanted to thank you & Elements Racing for an excellent event. This is my first experience with your organization and certainly not my last! As an athlete, I truly appreciate that the course markings were obvious and the volunteers (of which there were many) were friendly & helpful! I have already begun to spread the word about your events with the hope that more athletes participate in your races in 2013. Thank you! A quick note to thank you for a great event today at Kelso; great organization and the best volunteers!!! I raced the course for the first time this year and had a blast. It was by far the my most enjoyable and rewarding tri for the season...and not just because I placed 3rd in the 50-54 group! Here Come The Pro’s of XTERRA!